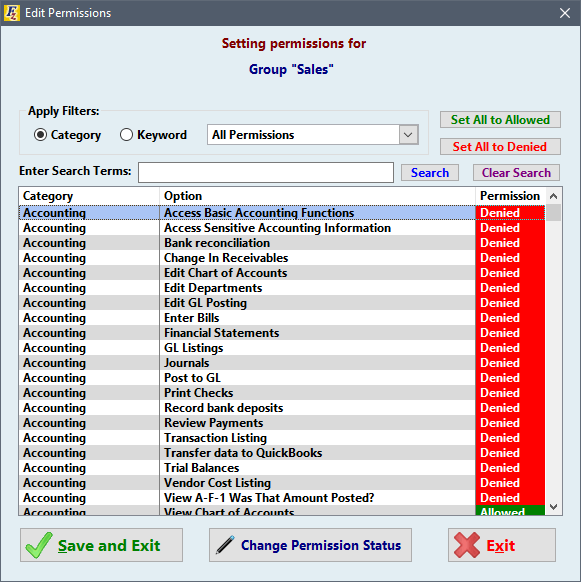 This screen allows you to set or edit a Group's permissions. Double-click any permissions to swap from Denied to Allowed. This allows any user within the group access to that item. Once you've selected all desired permissions, click Save and Exit to set the group!